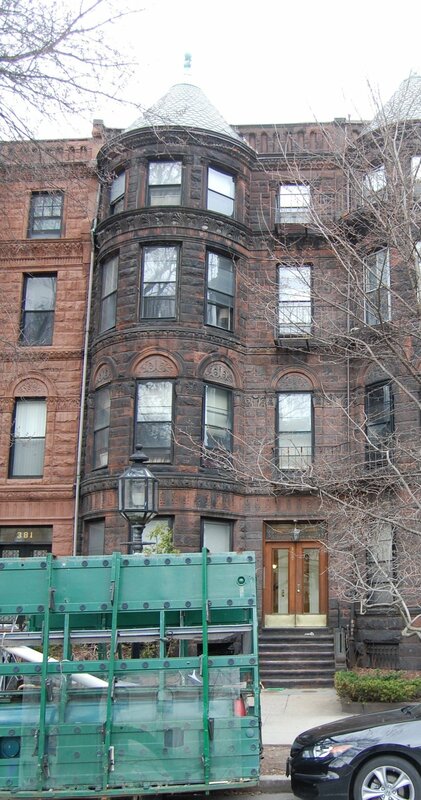 379 Commonwealth is located on the north side of Commonwealth, between Massachusetts Avenue and Charlesgate East, with 377 Commonwealth to the east and 381 Commonwealth to the west. 379 Commonwealth was designed and built by O. H. Drisko and Son, architects and builders, one of two contiguous houses (377-379 Commonwealth) built for building contractor and real estate dealer Albion Knowlton. He is shown as the owner on both of the original building permit applications, dated April 2, 1889, and on the final building inspection reports, dated October 25, 1889. 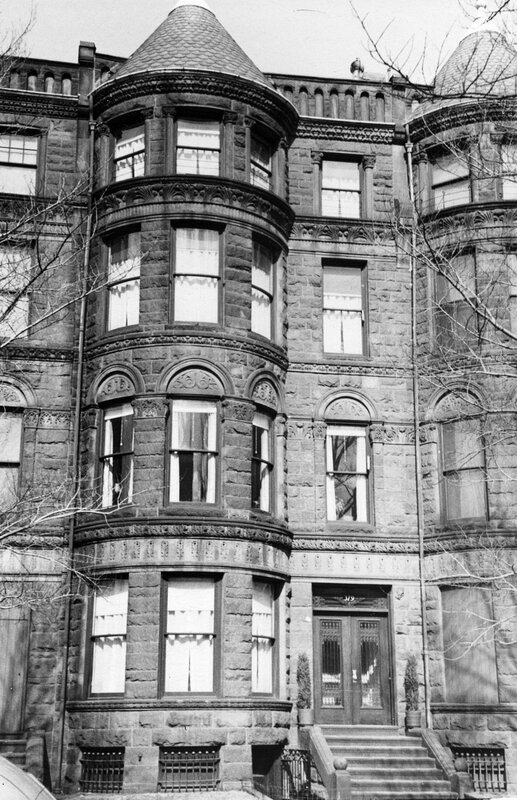 377-379 Commonwealth were built on land acquired by Josiah Bradlee Kendall through two purchases in March of 1889, a 30 foot lot to the east and a 16.79 foot lot in the west. 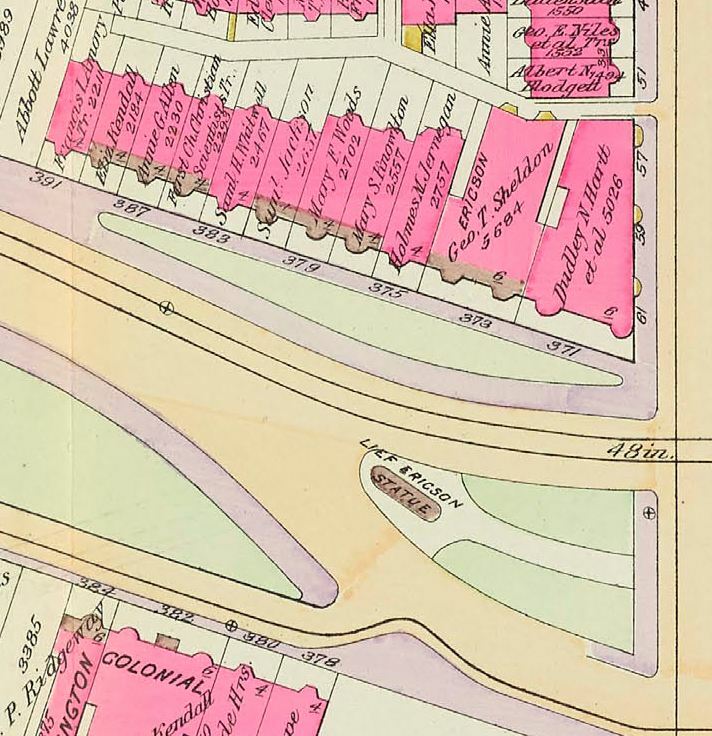 He then sold the property that same month as two approximately equal lots, the lot to the east to Albion Knowlton on March 20, 1889, and the lot to the west to Edwin H. Woods on March 26, 1889. On April 25, 1889, Albion Knowlton transferred the land at 377 Commonwealth to his wife, Mary S. (Goldsmith) Knowlton. Albion Knowlton contracted for the construction of both houses, 377 Commonwealth for himself and his wife, and 379 Commonwealth for Edwin Woods and his wife, Mary Frances (Smith) Woods. Josiah B. Kendall was a real estate dealer and formerly had been a hide and leather merchant and then a granite dealer. He and his wife, Elizabeth (McPherson) Kendall, lived at 389 Commonwealth. He acquired the 30 foot lot to the east on March 12, 1889, from Henry Lee, H. Hollis Hunnewell, and Augustus Lowell. 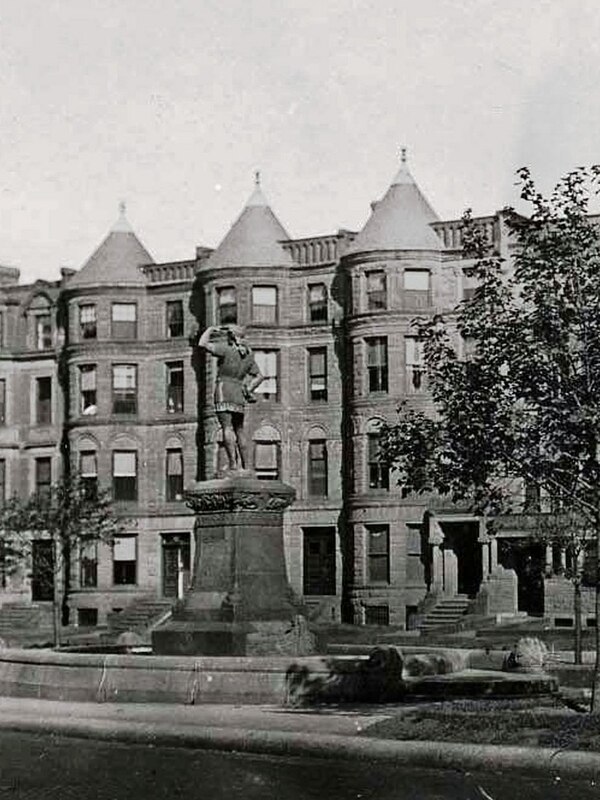 It was part of one of several tracts of land originally purchased from the Boston Water Power Company on March 1, 1872, by a real estate investment trust formed by Grenville T. W. Braman, Henry D. Hyde, and Frank W. Andrews. He acquired the 16.79 foot parcel to the west on March 20, 1889, from George Wheatland, Jr. It was part of a parcel originally purchased from the Boston Water Power Company on June 1, 1880, by a real estate investment trust formed by Francis A. Palfrey, Francis A. Osborn, and Grenville T. W. Braman. 377-381 Commonwealth (ca. 1905). detail from photograph of 373-391 Commonwealth, © The Mary Baker Eddy Collection; used with permission. 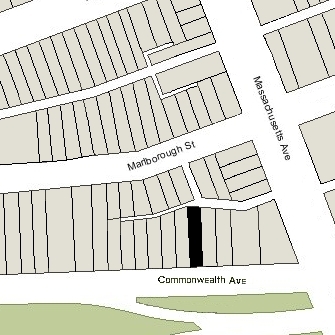 Click here for an index to the deeds for 379 Commonwealth, and click here for further information on the land west of Massachusetts Avenue between the south side of Beacon and the north side of Commonwealth. By the 1889-1890 winter season, Edwin and Mary Frances (Smith) Woods, had made 379 Commonwealth their home. They previously had lived at 113 Appleton. Edwin Woods was president and business manager of the Boston Herald until his retirement in 1906. On February 21, 1891, he transferred the property into his wife’s name. Edwin Woods died in October of 1910. 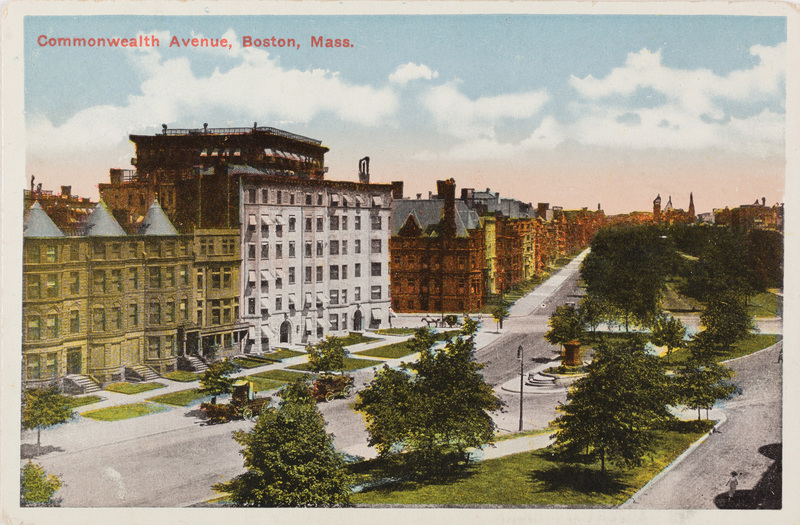 Mary Woods continued to live at 379 Commonwealth during the 1911-1912 winter season, but moved thereafter to Brookline. On May 1, 1912, 379 Commonwealth was purchased from Mary Woods by Dr. Marshal Fabyan. He and his wife, Eleanor Harryman (McCormick) Fabyan, made it their home. They previously had lived at 381 Commonwealth. They also maintained a home in Beverly Farms. Marshal Fabyan was a physician and an instructor and later assistant professor at Harvard Medical School. He maintained his medical office at 379 Commonwealth. Marshal Fabyan died in October of 1952. Eleanor Fabyan moved soon thereafter. On April 30, 1953, 379 Commonwealth was purchased from Marshal Fabyan’s estate by the Briggs Realty Corporation. Prior to taking title to the property, Saul Bernhardt Levitan, treasurer of Brigg’s Realty, filed for (and subsequently received) permission to convert 379 Commonwealth from a single family dwelling into ten apartments. Saul Levitan was a jeweler and real estate investor who lived at 197 Marlborough with his wife, Eleanor Helen (Hirsch) Mitnick Levitan. He died in October of 1953. On May 8, 1997, Briggs Realty Corporation (James A. Golden, president and treasurer) transferred 379 Commonwealth to the Briggs Realty LLC. 379 Commonwealth remained an apartment house in 2018.